I follow a number of recruiting blogs as well as many sourcers and recruiters on Twitter and I see a growing trend of job board bashing – typically comparing them (very) unfavorably to social networking sites and applications. 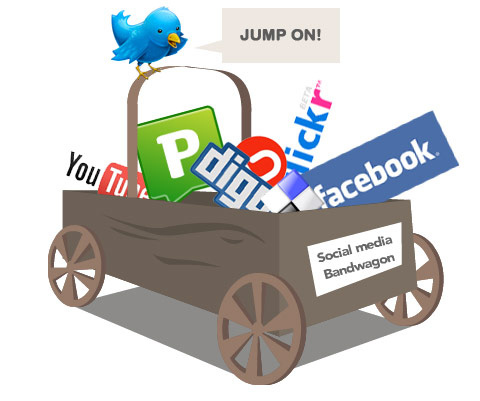 I love and leverage social networking as much as the the next recruiting professional, but I refuse to just blindly follow the crowd or jump on the bandwagon when it comes to anything. With all of the buzz about social media and so many people running away from and disparaging the job boards, I am going to step out of the crowd and try to figure out where this perspective that job boards = old/bad, social networking = new/good comes from, because to me, some of the reasoning doesn’t add up. First, let me say that when I think of the job boards, I think of their resume databases – not job posting. Job posting is job posting – whether it’s on a paid job board, a free board, LinkedIn, Twitter, or Indeed. While it can definitely work, it’s a passive and reactive technique that has a low ROI in most cases with many respondents who do not meet the basic qualificiations of the position posted. One thing I want to make clear is that I actually have access to and use major paid job board resume databases, and I also use LinkedIn, Twitter, and Facebook. It is very important to realize that some people who speak negatively about the major job boards actually don’t use them. I am not really sure how someone can review or form an opinion of a product they don’t use. I’ll leave that for you to figure out. This well-presented post was brought to my attention via Twitter recently: Top 5 Reasons Why You Should Recruit Thru Social Networks, and I agree with most of the points made and reasons presented. However, because there is an undertone of job boards = old/bad and social networks = new/good, it offers a good platform to me to offer some counterpoints. Social networks make it easy to build relationships with people who may not feel comfortable actively looking for a job online. #1 The reality is that not all social networks make it EASY to build relationships with people. As I am fond of saying, if you can’t find or identify the people in the first place, you can’t establish a relationship with them. For example, if you’re on Facebook looking for potential employees – Facebook’s search interface is limited and you can only see information about people inside your network. Even third party Facebook search applications that do allow you to see information about people beyond your network and don’t really offer very effective or powerful people-finding ability. The search interfaces/engines of all major online job board resume databases enable users to create highly specific searches and thus easily return relevant results. If you can find them, you can contact them and begin to build relationships with them. #2 Even after you’ve found someone on a social network, there is nothing inherently easier about building relationships with people you find via social networks than sending an email or picking up the phone to reach people you’ve found on a job board (or the Internet, or wherever). Think about it. Besides, once you find someone on a job board, you could just as easily cross reference their name and search for them on social networks and reach out to them there as well. For Facebook specifically, this is especially helpful because you actually have a name to search with, and in many cases a company. Careerbuilder is already making the move to capitalize on cross referencing people who post their resume on their site with social networks with their new Applicant Explorer. I’ve used it – it’s cool, and it works. #3 Some people who don’t feel comfortable actively looking for jobs online do actually post their resumes confidentially on the major job boards, with no identifying information – but they can be found and contacted. In fact, some of the best candidates are completely confidential. If your information is on LinkedIn, Twitter, MySpace or Facebook – it’s not confidential. If you do have access to any major job board resume database and you’re only searching for people who just posted their resume (and thus “active” candidates, at least in theory), you’re missing the vast majority of candidates, and you are making a common mistake that many sourcers and recruiters fall prey to. You can easily find relevant candidates for any position by searching for candidates with the skills your company is looking for. #1 See counterpoint #1 above. No social network has a very advanced search interface or capability, and some are quite poor, so for the most part you actually can’t easily find relevant candidates. LinkedIn’s search interface and capability is solid and is perhaps the best of the social media bunch, but it still does not compare well to the search interfaces and capability of any of the major job board resume databases in terms of configurability, control and precision. #2 You actually CAN search job board resume databases and easily find relevant candidates with the skills your company is looking for. More easily than you can with any social network/application. When you recruit in social networks your company will reap the added benefit of spreading brand awareness and increasing the desire of others to work at your company. When you find candidates via the job boards, I think you have just as much opportunity to brand yourself and your company when you contact the people you find and spread brand awareness through them. However, there is no denying that having a corporate presence on Facebook, Twitter, LinkedIn or other social networking sites, or having a corporate blog can increase your brand awareness and the desire of others to work at your company in ways that the major job boards simply cannot, as they do not offer similar methods of exposure or branding. One of the most popular ways to find a potential candidate is through connections. When you begin recruiting in social networks you expand your personal network so that you can reach a much larger number of potential candidates. Job board resume databases can be used in a manner very similar to social network sites and applications. If you’re using a resume database and you’re not actively and consistently building relationships with, networking with, branding yourself/your company, and referral recruiting with the people you’re contacting then you are most certainly not leveraging job board resume databases to their fullest potential. Since before the Internet and even the computer, any good recruiter knows success is about establishing and building relationships and expanding your personal and professional network – every person you come into contact with knows other people. You don’t need a social networking site to leverage this simple fact – just pick up the phone. Some people may be surprised to learn that the concept of social networks is over 100 years old. MySpace, Facebook, and LinkedIn are examples of social network services, but social networking does not require the Internet. Job boards are on the way out and more and more employers are turning to social networks for recruitment. There is no denying that more and more employers are turning to social networks for recruitment and that traffic to the major job boards has been declining, but I am not exactly sure if job boards are on their way out. While they are not likely to completely disappear, they do need to (and likely will, in order to survive) evolve their identity and functionality in order to play catch-up with the positive buzz and valuable features of social networking sites and applications. It is certainly a fact that everyone is not on a job board. There are people you can find and recruit via social media that you simply cannot find on a job board. However, the converse is also true – everyone is not on a social network, and there ARE actually great people you can find on the job boards that you simply cannot find on any social network. If you don’t agree with this point and don’t use job board resume databases, you’re certainly entitled to your opinion, but it won’t be supported by fact. Job boards cost money. Social networks are free (for the most part – you can pay for LinkedIn). While everyone loves free – free means everyone (530,000 recruiters!) has access and therefore there is no competitive advantage of exclusivity. Sometimes you do get what you pay for. If you’re in executive search and working with clients who are very savvy with social media and who leverage Linkedin heavily and effectively, don’t be surprised to hear your clients eventually say something like this: “Don’t bother searching LinkedIn – we already have that covered, and we won’t pay a fee for candidates on LinkedIn.” You heard it predicted here first. I completely agree that social networks are an amazing channel for finding potential employees and that they are increasingly becoming an even expected way of finding them. 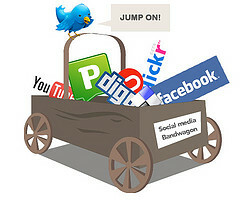 Companies should definitely be leveraging social networking via blogs, LinkedIn, Twitter, Facebook, etc. I agree that if they don’t, they risk “being left in the dust,” as having an effective social media strategy can likely be a significant competitive advantage. However, I strongly feel that having an either/or mentality when it comes to social media and the job boards is illogical – it just doesn’t make sense. Everyone is entitled to their opinion, but I sincerely hope people think before they simply jump on the bandwagon.